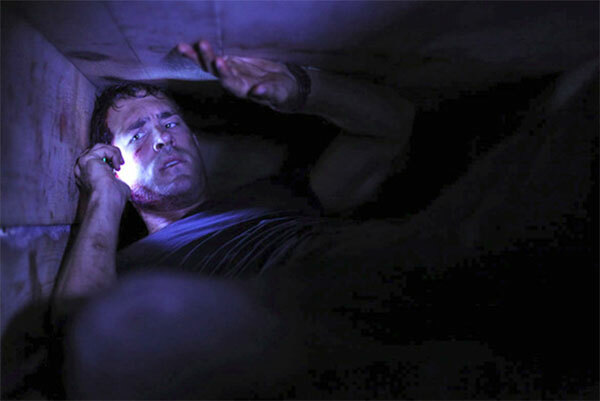 Many thought that when news of Rodrigo Cortes movie Buried came to light that there was no way it could succeed. 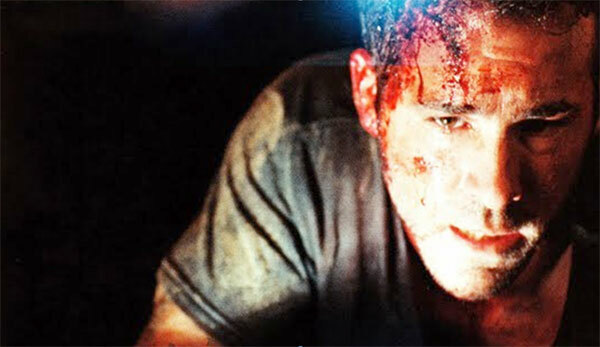 Starring Ryan Reynolds, Buried is a chore of a movie to watch, a movie that will sicken you, and have you clutching the armrests of your chair, couch or the person whose knee you are sitting on. Buried is clever, well thought out and best of all, I am pretty sure that it could hold up to a claim of being original. You see, Reynolds plays the role of an American truck driver / contractor Paul Conroy who is over in Iraq to make some extra money for his wife and kids, when the convoy he is in is attacked by insurgents. Paul wakes up, in a box, buried. And thus the movie begins. Reynolds is perfect in this role, and as what could still be classed as a young actor is really showing the world that he is in it for all the right reasons. He is without doubt the reason this movie works, along with an awesome script. You see, for the next ninety five minutes, all you are going to see is Paul Conroy in a box, buried. That's right. One man, one location, no flashbacks, and just Ryan Reynolds to keep you watching. And it works! Conroy has been left a couple of things to keep him going in the box by the insurgents, a lighter, a mobile phone, and a knife. Soon he is contacted by his abductors and told to make a video for the ransom they are asking. In the interim however we also are aware of others in the story who are only voices we hear as Reynolds calls various parties in a vain attempt to be saved and not aceed to the demands of his captors. Should he do as he's told, or hold out just in case he is found. This is an edge of the seat kind of movie. You simply don't know what the hell is going on until the bitter end and even then you are not one hundred percent sure. It reminds me very much of the clever twists that Hitchcock would throw through his movies and I am sure that great film maker would have applauded the ingenuity of Buried. Brilliant angles shot throughout the movie prevent you from getting tired of watching Reynolds in the sparse light from his phone or lighter, and the tension in knowing he is running out of air and time will have you biting your nails. This was a highly enjoyable film that you really should watch! The extras are very sparing on this disc with a short making of, and an interview with the director. I would have loved an audio commentary on this one from Reynolds as it must have been an exhausting experience for him. Watching the making of, whilst short, shows us the various coffins that had to be constructed in order to get the shots that director Cortes wanted.